Olentangy’s Sophie Low was as close to unhittable as a player can be without technically being so. She faced just one over the minimum until allowing a hit with one out in the top of the seventh inning of the Braves’ 2-0 win over Liverpool (NY) Thursday afternoon in Myrtle Beach. It was the only hit she allowed all game. She struck out 10 and didn’t walk anyone en route to the complete-game shutout. She didn’t get a ton of run support, but didn’t need much, either. Olentangy scored both its runs in the fourth. Payton Cox tripled home Olivia Davidson, who opened the inning with a single, and Low singled home Cox one batter later to smooth out the scoring summary. Davidson and Emily Bullock finished with two hits apiece for the Braves (3-1). Jenna Wike had Liverpool’s lone hit. Dawson Marshall connected on a two-run homer in the bottom of the ninth inning to left host Niceville (FL) to an 11-9 win over visiting Olentangy Orange Thursday in Florida. The Eagles (13-0) scored a combined six runs in the sixth and seventh to send it to extras before sealing the deal in walk-off fashion. Marshall had four hits, including two home runs and a double. He drove in four runs, scored twice and picked up the win on the mound, tossing four no-hit innings. Jack Betz led the Pioneers (2-2), who played in their third extra-inning game in the last three days, with two hits and four RBI. Buckeye Valley picked up its third straight win to start the season, cruising past host Bexley 20-1 Thursday night. Nathan Heiser led the way with a game-best seven goals while Hayden Kaiser added five goals and three assists. Trent Slavik was also solid, finding the back of the net five times while assisting on another. The Barons return to action Tuesday, April 10 against host St. Charles. 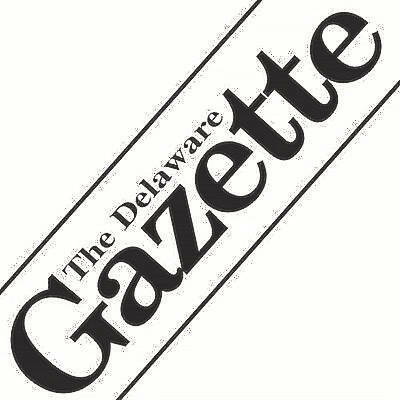 Follow Ben Stroup on Twitter @delgazette_ben or contact him at 740-413-0901.